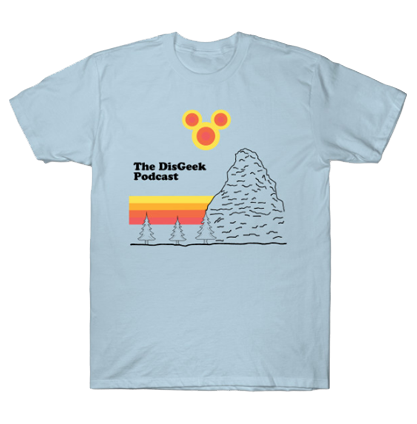 The DisGeek Crew is joined by Chris Wakefield of the Wakefield Report. We talked to Chris who is a WDW fan to find out what he thought and how it compared to his home parks in Orlando. We also visit the Main Street Newsstand and give out our Tip of the Week. It’s a HUGE show! Please enjoy and review in iTunes. The former Carnation Plaza Gardens stage and dance floor will now be called The Royal Theatre with shows featuring characters from Beauty and the Beast and Tangled. At The Royal Hall, there will be three princess meet and greet areas. Food items include new cheddar garlic twists, boysen apple freeze and a yogurt parfait from Maurice’s Treats. Disney has entered into a long-term agreement with Joffrey’s Coffee and Tea Co to provide the standard coffee at Walt Disney World, Disneyland, and Disney Vacation Club properties. In addition, Joffrey’s will develop special blends exclusive to Disney and resort hotel rooms will all have a catalog where guests can purchase Joffrey’s products to take home. These changes will be complete within the next few months. Just to give you an idea how quickly Limited time magic goes, we have had two events go since our last recording. And two more events come and go. What has ended is Golden Horseshoe Review Tribute and the New Orleans Bayou Bash. Extended hours at DCA on Thursdays. 2 extra hours to enjoy. Finally it seems that they will now start enforcing fastpass return times as they recently did in Florida. Of course this draws outrage from the fan community which frankly I don’t understand. Signs has gone up although I understand the enforcement is not actually in place yet. Signs are up merely to start getting passholders used to the idea. Feature – Talk with Chris Wakefield of the Wakefield Report. Tip of the Week – Visit World of Disney and check out Thomas Kinkade hidden images. Thanks to Richard for the tip!